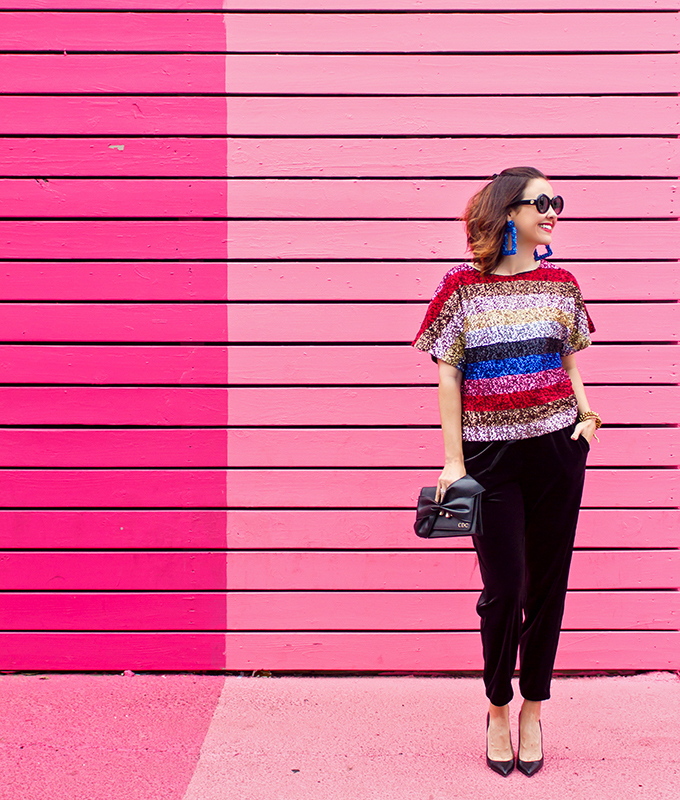 I know, I know – sequins around the holidays is as groundbreaking as florals in spring. However, when is a better time to sparkle and shine? ‘Tis the season, my friends! Embrace it. 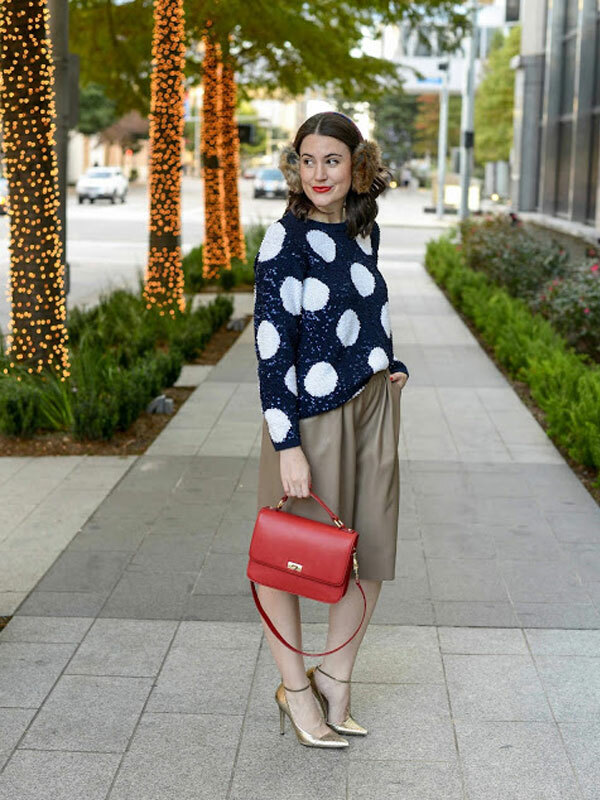 Even if you’re one to stick to neutrals and solids, wearing sequins during the holidays can instantly put anyone, even a less than festive person, into the holiday spirit. And I mean instantly. Sequins resemble a disco ball and disco balls are synonymous with parties. 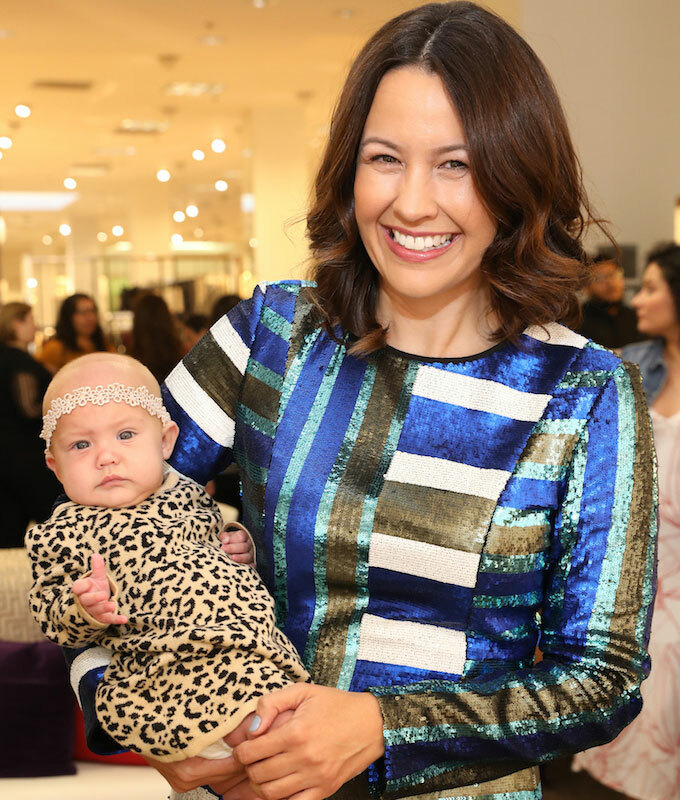 So, by nature, sequins will absolutely bring the party! Side note: speaking of disco balls, you probably need some disco drinks for your festive holiday beverages! 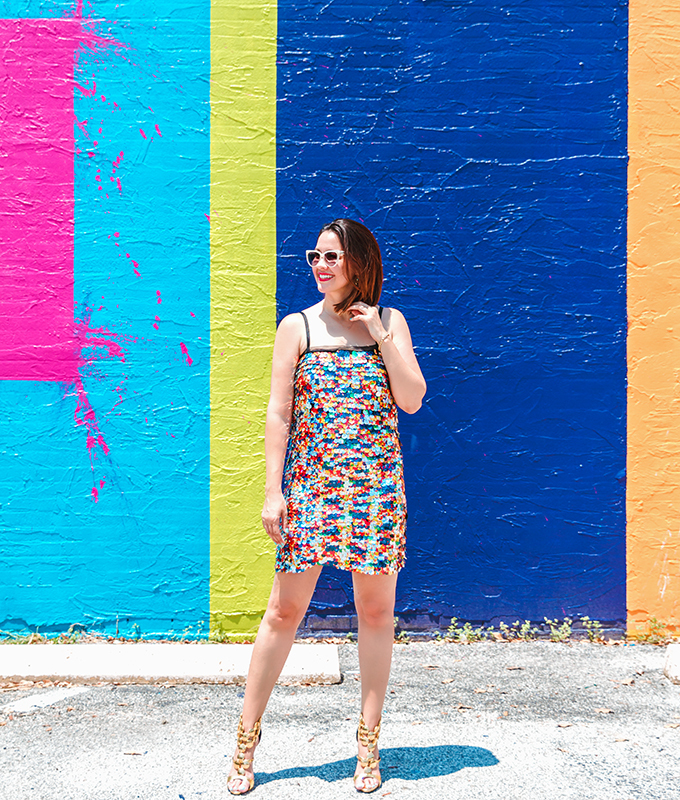 Aside from featuring many sequin looks here on CarrieColbert.com, you might also remember a series we did a while back titled “How to Wear a Sequin Skirt” and we showed four different ways how to wear the same sequin skirt. 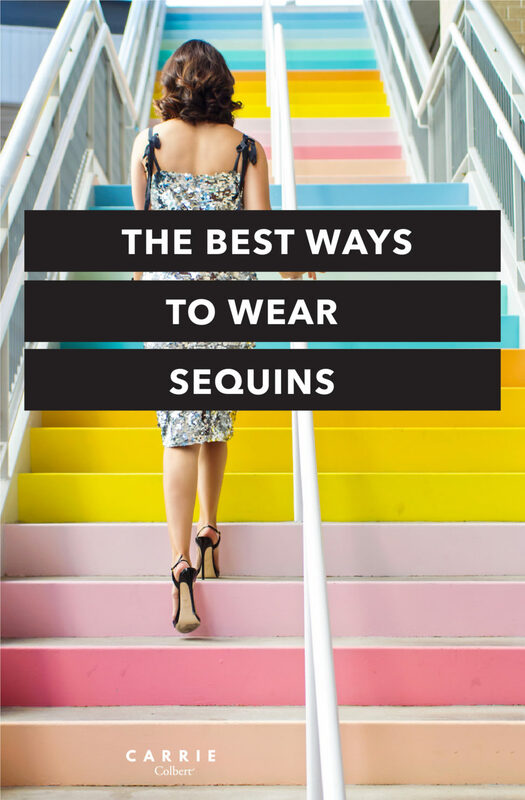 While those looks were primarily for the daytime – work and play – today we’re talking all about the best ways to wear sequins for the holidays – think along the lines of a sequin dress, sequin top, and more. Though, really, all of these looks can be worn whenever your heart desires, but the holidays are, of course, at the forefront of our minds. See below for some of the fabulous ways Carrie has rocked sequins over the years. All are holiday appropriate – some just require simply adding a jacket for the cooler temperatures! 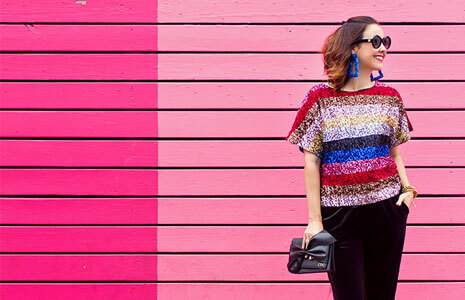 Below you’ll find some of the Internet’s most fashionable wearing sequins in beautiful ways. Take a look! 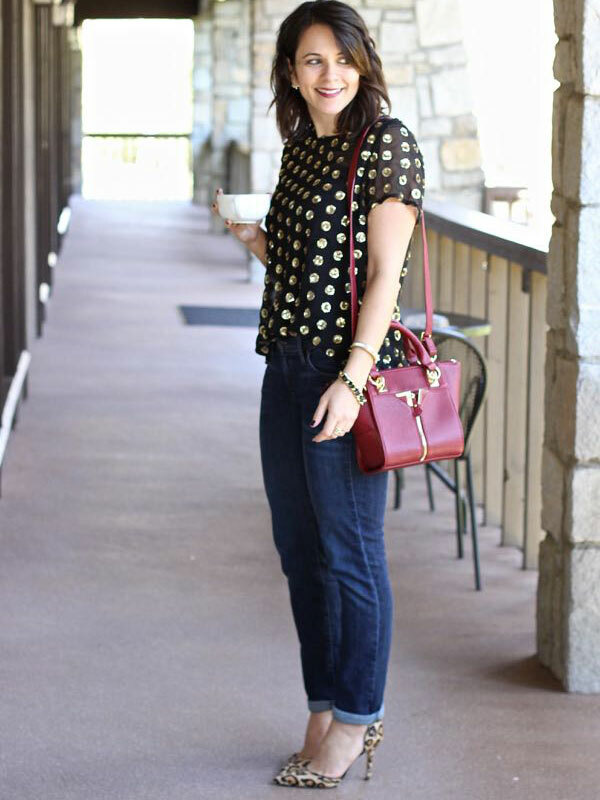 The sequin piece I’m eyeing the most for this holiday season? 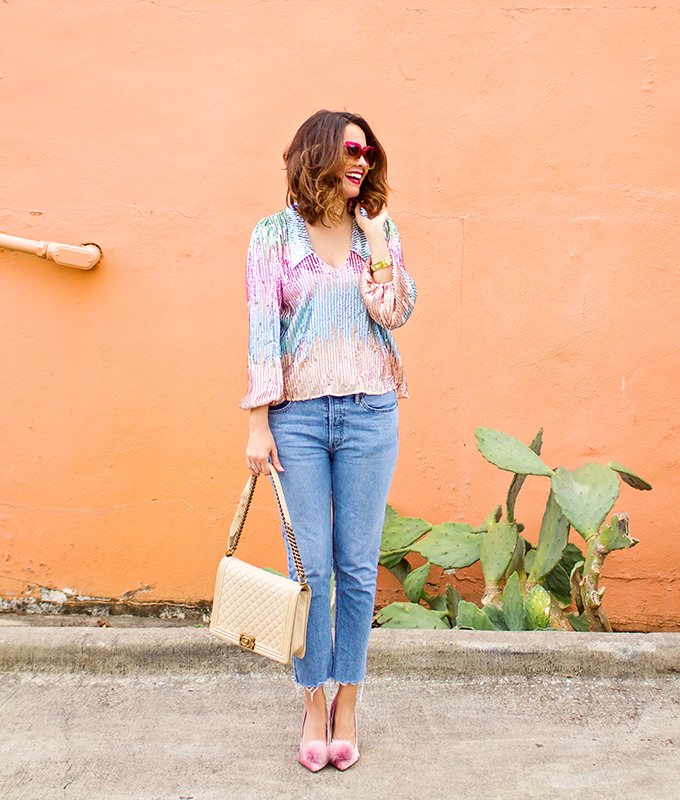 This rose gold sequin top! With bows in the back, you’ll turn heads coming and going! To up the holiday factor even more, I want to pair it with these tartan plaid pants. All the heart eyes for this festive look! 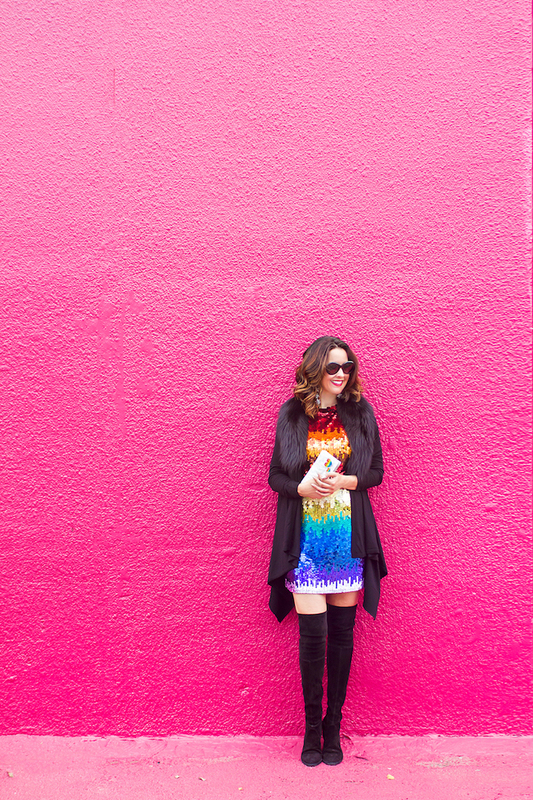 The other sequin piece high on my list is this sequin midi skirt. It comes in four colors, but not shockingly, I want it in intense pink. How nice would this look with a simple black top or sweater and black pumps? 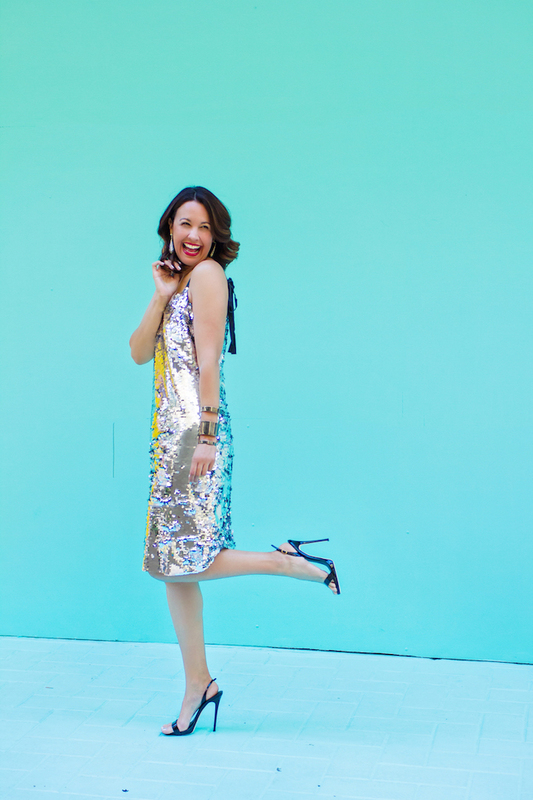 Beyond that, here are some other great sequin options the team and I rounded up. Dare we say… More sparkle, please! 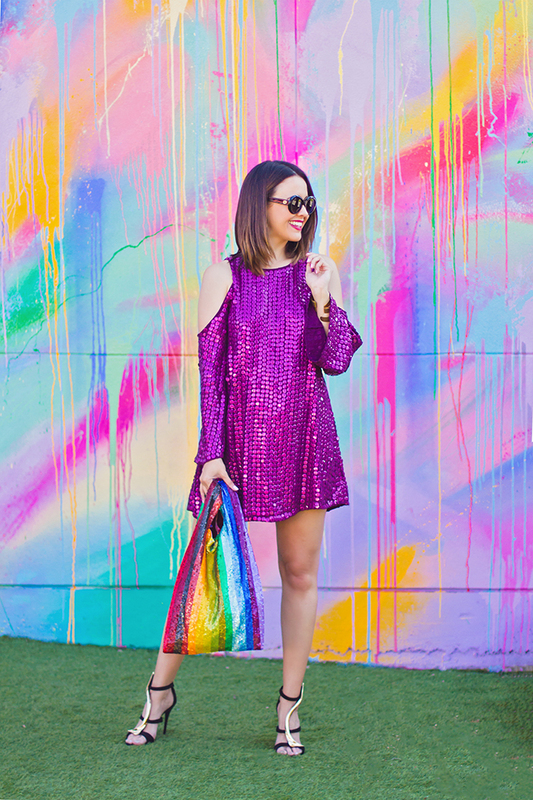 Do you love sequins as much as we do? Eyeing any pieces from above? Let us know in the comments below and have a great day! Thanks so much for including me, friend! Happy Thursday! Of course! Love that sparkly look. Follow us for a day in the life. With Plated, entertaining has never been so easy!